Other than someone rigging the poll at the last minute, the winner for "furlough adventure" #3 is Oakland's Rockridge District. 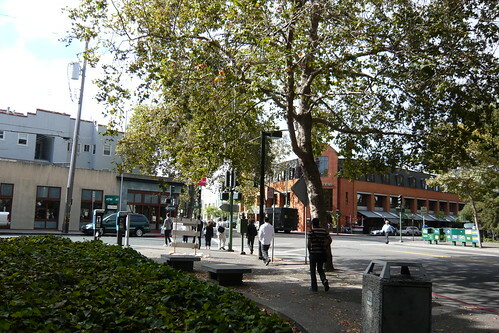 Rockridge is a popular commercial district with independently owned restaurants and shops and is easily accessible by BART. It is also easily accessible from Cal Berkeley because AC Transit's 51 bus line passes right through there. Let's take a little photo tour, shall we? 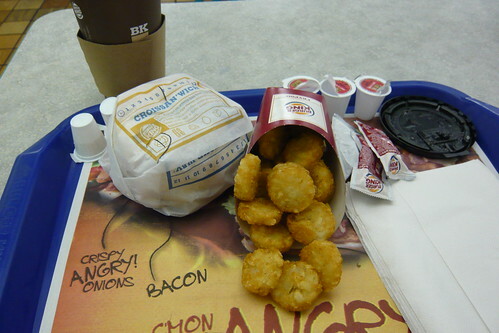 Before my journey out to that area, I stopped at Powell BART for an unhealthy breakfast. My doctor is going to kill me. I wonder why the Burger King restaurants I visit doesn't serve "turbo" coffee? 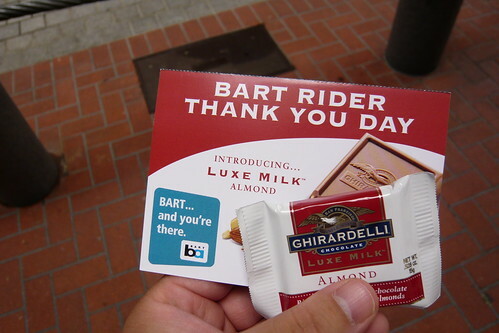 Since the public was suffering during the Bay Bridge closure, I was one of the lucky ones to get a free chocolate square as part of a promo. It took about 30 minutes to get there and I got there way too early. Not everything was open. Yep... way too early. Zachary's was not even open yet. 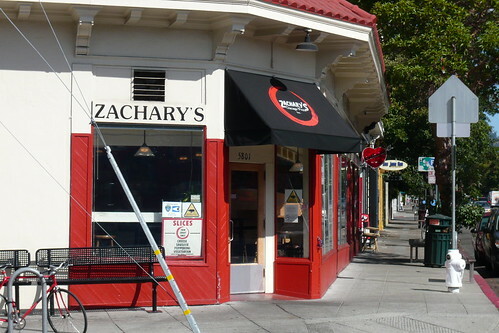 Zachary's is one of the best pizza places in the entire Bay Area and is famous for their super deep dish pizzas, known to take up to 30 minutes to bake. If you eat it there and there's no open tables, you place your pizza order and when your name is called for a table, your pizza will be there in no time. You can also order to-go deep dish pizzas, including ones that are half-baked so you can cook it later. Hey! 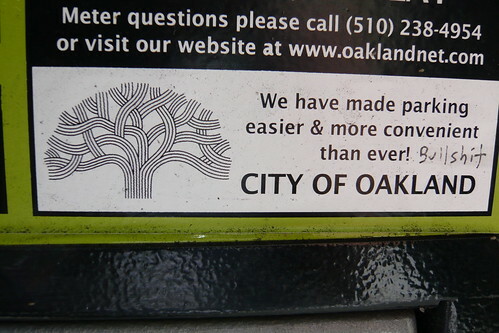 It's the controversial Oakland parking meters! You remember them in the news, right? Oakland parking meter maids are running around giving tickets to anyone whose meter has no time left, even if you are just paying for your meter voucher. It's profitable and pisses a ton of people off. 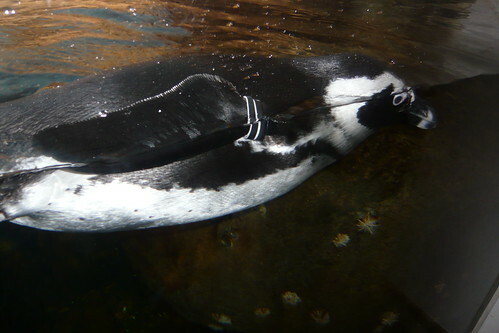 After touring around Rockridge district, I killed some time at the Cal Academy of Sciences. Amazingly, it was not even crowded! I got a nice seat to view the Philippine coral reef tank, and there was even planetarium tickets available.